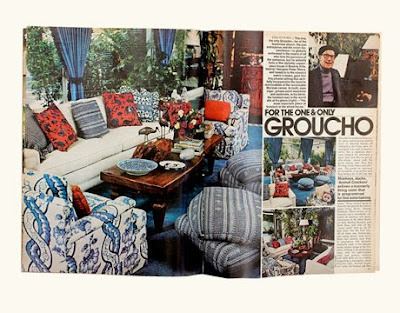 Do you recall this vintage room designed by Peter Shore from my post last week? 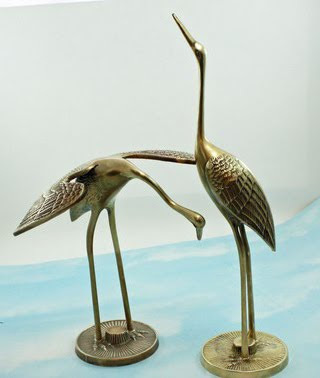 I couldn't stop thinking about those brass birds on the coffee table - they look like cranes or flamingos or some other lanky, beautiful bird. 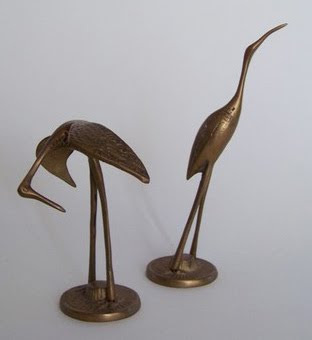 I have a thing for all things "oiseau", so I'm in love with these figurines - especially with my as-of-late obsession for brass. 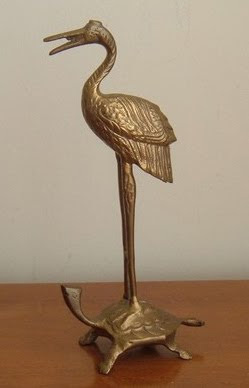 Ok, so the crane on the turtle is a little quirky, but I find these brass birds so elegant...in fact, I love all brass animal figurines (especially elephants!) but these birds just stole my heart. I LOVE that we have Etsy to look for these little treasures! None yet LD...still figuring out where I'd put them! Etsy is such a great resource for vintage -- thanks for introducing me to some new sellers! Oh Daniela do I feel bad! I have done yard sales and even tags sales in my basement when I need to clear "inventory" and I know I had some of these at some point. I know you will find them...you're a vey good huntress! I agree! 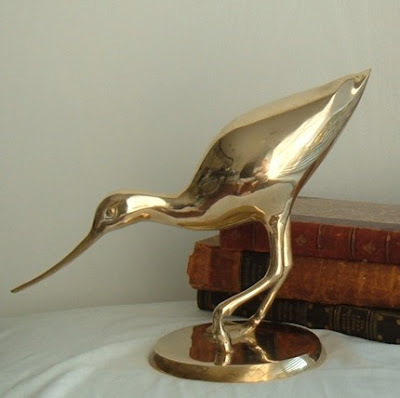 I adore avian art in any form. The longer, the leanen, the more graceful. Well selected.